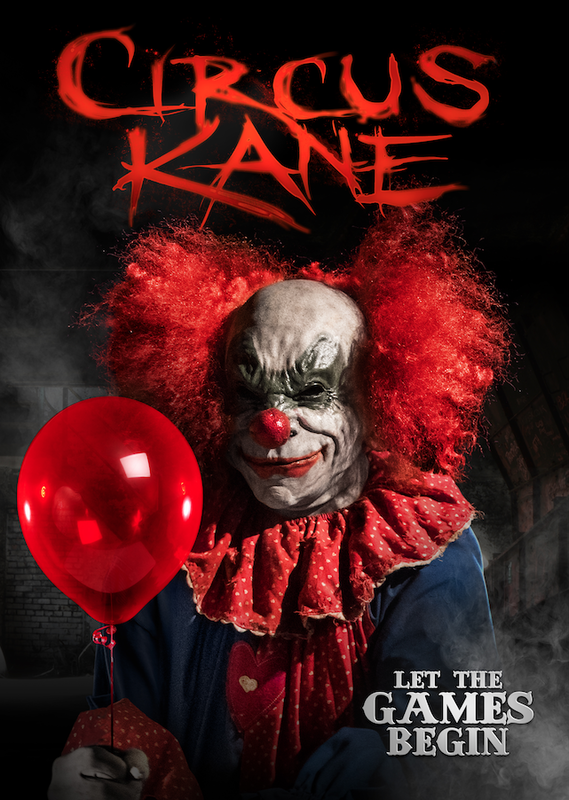 CIRCUS KANE is one hell of an ambitious film that took me back to the classic 80s horror days of my youth. A group of seemingly random people are selected to be part of a contest. The winner receives $250,000 and they all could use it. But, will they survive Balthazar Kane's new attraction long enough to win? I had a lot of fun with this film. It never really takes itself too seriously as the characters move through the tricks and trappings of Kane's fun house. There are some snappy bits of dialogue that are fired off rather well and some genuinely interesting little puzzles and scenes. If anything, I think the film could have been a bit darker with a little more light modeling to help mask the lower budget a bit, but even that had a kind of charm that made the film even more endearing. I could also see a bit of a Rob Zombie nod in a few places, but it wasn't a direct copy, just added a little Zombie spice here and there. 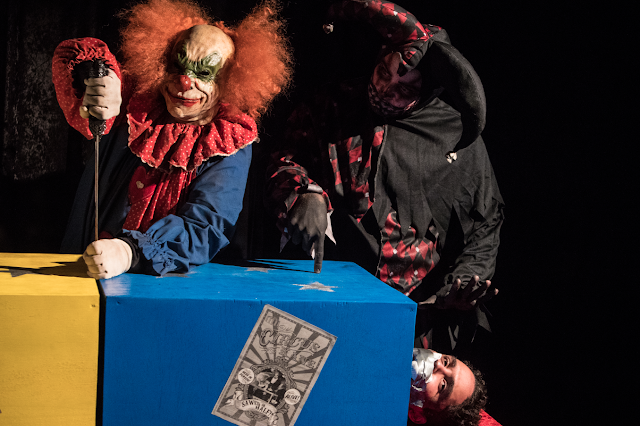 Don't roll into this film thinking you are going to be seeing a Rob Zombie cash film, however. This is fun, lower budget fair and I think thy do a great job with it. Christopher Ray's direction is interesting and entertaining and Tim Abell is a lot of fun to watch as Kane. The whole cast works well, too. Looking back on other films in this category, the acting can be...oh so painful. (Unless it's REALLY bad, then it can be fun) These folks do a good job selling their roles and it adds to the overall sense of fun the film presents. You can tell the team behind the film had a good time making Circus Kane - the fun is there on the screen. There are some cool set pieces and gags in here that I found to be highly entertaining. It's fun seeing some more playful horror ventures in the genre. Grab a beverage, pop up some popcorn, and give this film a go. It's a fun ride. "Step…right…UP!" 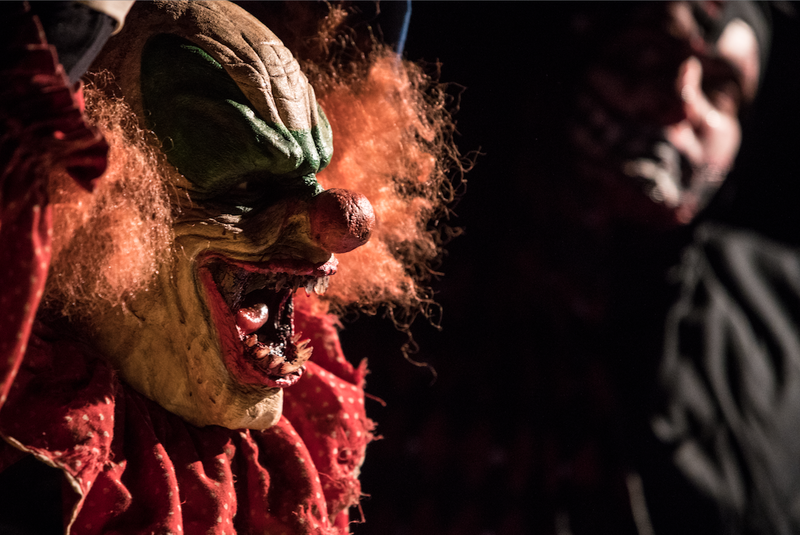 (Horror Fuel) and grab yourself a copy of the IT movie of the year, with a DVD that includes a funtastic audio commentary and splatteriffic outtakes. Jonathan Lipnicki (Jerry Maguire), Mark Christopher Lawrence (Cooties) and Tim Abell (Sniper : Special Ops) head up the cast of Christopher Douglas Olen-Ray's Circus Kane, "one of those midnightfilms that will bring you back to the days of your youth and trips to the circus, minus all the bloodshed and killer mimes" (Dread Central). 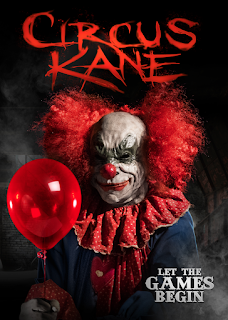 Circus Kane, on DVD October 10.